Books | Let’s Give Life All We’ve Got! 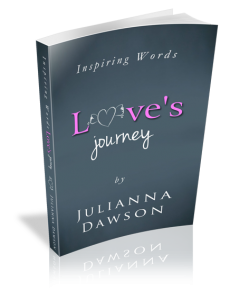 The Inspiring Words series begins with Love’s Journey. New love, love grown old, or love that stands the test of time and all the events that life throws at it. It tells the story of the truth about cheating and knowing; the pain, choices, and decisions that we all make when we are in love and when time has taken its toll on love. 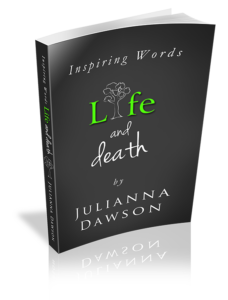 Book club discussion questions and ideas at the end give you the opportunity to explore the poems and your personal love journey. 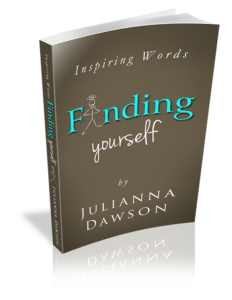 This part of the Inspiring Words series focuses on discovering who you are—looking at yourself inside and out, wanting to be you, dreaming and believing that you can be whoever you want to be. A time of brave, truthful self-examination—no matter where it takes you. Book club discussion questions and ideas at the end encourage you to examine the poems with an eye on yourself, your life; who you are and who you want to be so that you too can go for it—whatever it is. Into The Unseen depths of the Mind follows the journey of discovery in the Inspiring Words series. It is the place where fear, desires, dreams, and questions reside along with places we don’t fully understand. These are places that are more powerful than we think. A connection to something more—something spiritual—begins here. This part of the Inspiring Words Series invites you to be at peace with things you have no control over, yet concentrate and take action on the things you can control and realize that by doing so you reach a spiritual bliss as you live a more fulfilled, purposeful life that you watch unravel in all its beauty.